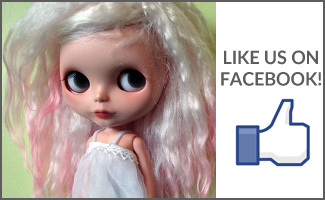 There’s been a lot of ‘drama’ that has happened on the internet recently pertaining to dolls, of all things. A good online friend, at least I’d like think that we’re good friends, was harassed and insulted and belittled over a website that she had made. It was a charming, quirky website that I thought was all in good fun – so did a lot of other people. But it only takes one person to ruin that, to make it not a good thing anymore. I get a lot of emails because of BlytheLife. A lot of it can be good, but I also get a lot of bad ones too. I get people telling me that I’m lazy for not posting on a daily basis. I have people telling me that I’m greedy for charging for advertising here. I’ve gotten emails from people who say hurtful things and they think that they’re being anonymous when I can match up their IP address to comments here on the blog. That’s right – I know who’s been bad or good, just like good ol’ Santa. The internet gives people the sense of anonymity that they think that they can hide behind. And that can be both good and bad. Good in the sense that it allows shy, introverted people the ability to speak out – but also bad in the sense that it makes people think that they’re untouchable. Guess what? You’re not. I don’t get paid for doing this website. I do it out of my own free time. I set it up myself and I maintain it. As it is, it is a lot of work to keep up the schedule of 3 posts (Monday, Wednesday and Friday) every week. I’ve put in time, effort and money into this website. I’ve gotten a lot of positive feedback, but also a lot of negative – which I don’t appreciate. I also understand that it’s that person’s prerogative to insult me and then turn around and enter giveaways that I host on this website. Perhaps you didn’t realize that I know that you do that. But now you do. So I would sincerely hope that you stop clogging up my inbox with your ridicule and start growing up. Also, for the amount of traffic that I get on this blog – I don’t charge a lot of advertising. 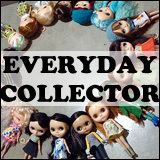 I preferred to do it this way in order to keep it affordable for people in the doll community. That said, all of the money that I make from advertising goes towards paying for this website. It costs money to maintain a website, even if I put my time in for free. It costs money to host it, it costs money for that little dot-com name that you type in or click to get here. For those that think that I make a profit – I don’t. I put in my own money into keeping this website alive. If I had a nickle every time someone accused me of turning a huge profit with this website, I’d have a lot of nickles. I’m very tired of the mudslinging that a lot of people have taken to doing on the internet – especially in the Blythe community. We’re (primarily) adults and I would hope that we can all act like it. As well, we can all start remembering that there’s nothing really anonymous about the internet. When you say mean and hurtful things, it can be traced back to you. So when you turn around and post cheerful comments somewhere else, I know it. And trust me, other people can figure it out on their own websites as well. QOTW: How do you deal with negative comments? Great post Michelle and thanks for your support. I agree with you completely. Unless you are using a proxy server, you are not anonymous online. I only got into the online blythe community last fall, but back then I thought this was the sweetest hobby completely void of drama. I feel like I jinxed blythe by wondering where the drama was :/ most of the people in this hobby are just wonderful, but lately there have been a few that are ruining the fun and sense of security for everyone else. I hope these recent issues get resolved soon, and also anyone who complains to you about your blog is a fool! 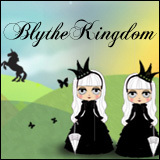 This blog honestly got me into blythe, it was an amazing resource for me before I bought my fIrst doll and I love reading your new posts! Anyway, kind of rambly, but I just wanted to say you’ve got a little beacon of support in upstate new York! Hear! Hear! Oh Michelle (and Katie), what a shame that you get negative and mean-spirited feedback simply for sharing your love of a little plastic doll! I have watched some of the recent drama incredulously! Really, people need to step back and remember what their Mum said: If you can’t say something nice, don’t say anything at all. It’s simply polite, which helps everything run smoothly and get that good karma happening! I love your blog Michelle, just the way it is! Thanks for putting this “out there.” You know how I feel about you and all you do…. I love you!!! You are my happy place! Here’s my two cents worth . . . I LOVE your blog! It doesn’t matter to me that you update it whenever you can . . . I think it’s great that you update it at all! 🙂 There is nothing wrong with charging for advertising. After all, the ad someone places here will probably result in money made for him/herself! I love your posts. Mean people – leave Michelle alone – go spread your ickness elsewhere!